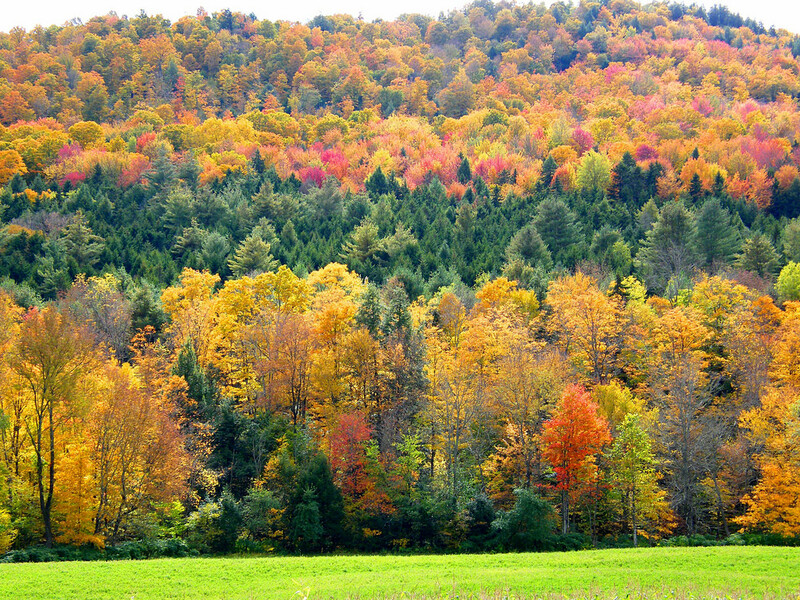 Woods of Vermont; typical Vermont forests include white ash, American beech, white birch, yellow birch, hemlock, white pine, red spruce, red maple, and sugar maple. Photo by Stanley Zimny/Flickr (Noncommercial Use Permitted with Attribution). The Tunbridge series consists of loamy, well-drained soils that formed in Wisconsin-age glacial till. These soils are 20 to 40 inches deep over schist, gneiss, phyllite, or granite bedrock. They occur extensively in mountainous areas of Vermont, in all but one county. Tunbridge soils are used mainly for woodland. White ash, American beech, white birch, yellow birch, hemlock, white pine, red spruce, red maple, and sugar maple are typical species. Sugar maple is especially important; Vermont produces the largest amount of maple syrup in the U.S (the sugar maple is Vermont's state tree, and maple is the official state flavor). Some areas have been cleared and are used for hay and pasture. Recreational uses are common on these soils. They include trails for hiking, mountain biking, snowmobiling, and skiing.